Commodore Perry, a 19th century American naval officer, was known for taking a bold new approach to looking at the world. He played an integral role in opening Japan to trade, developed a system that led to the curriculum for the United States Naval Academy, and is considered the “Father of the Steam Navy.” Perry also claimed the Florida Keys as a United States’ territory in 1822 after years of disputed ownership and the rest, as they say, is history. Key West, the southernmost point in the continental U.S., has since become known as many things, including the now iconic “hangout” for Hemingway, a port of call for cruise ships, and destination to celebrate the setting sun. 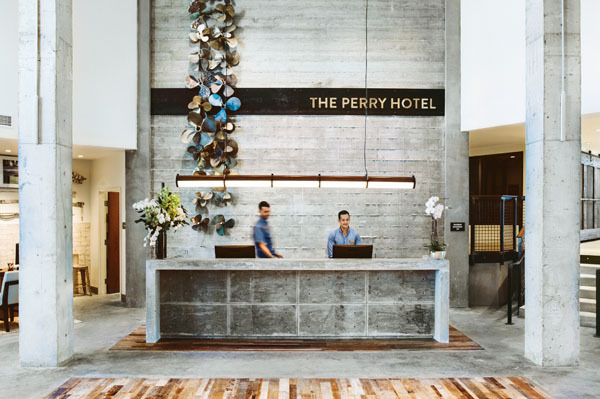 Now, however, a brand-new 100-room beautiful boutique hotel, The Perry, is reimagining what it means to indulge in Key West. 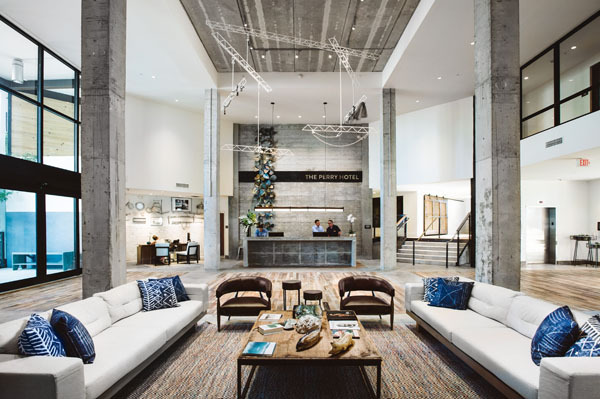 Located on the working waterfront of Stock Island, The Perry is only a few minutes by car or shuttle from the familiar environs of the region, but has already established itself as a destination with its own unique personality. Visitors can fly into Key West International Airport via private charter or major airlines including American, Delta, United, and Silver Airways. From there, The Perry is a short ride via rental car, taxi or shuttle service across Cow Key Channel Bridge. For a more leisurely approach, fly into Miami, rent a car, point it south and head down U.S. 1 to the Keys. The Overseas Highway cuts a dazzling path across a 113-mile chain of breathtaking coral and limestone islands connected by 42 bridges. Arrival by boat can be accomplished by a three-hour Key West Express ferry out of Fort Myers to the Key West Bight Ferry Terminal; with private boats having access to Stock Island’s private 220-slip marina with state-of-the-art floating docks that sit in the largest deep-water harbor in the Florida Keys. Stock Island is a place full of life and local color, and The Perry takes great advantage of its exceptional location. It is seamlessly connected to the vibrant and colorful lifestyle right outside the door. The hotel effortlessly integrates old world charm and modern amenities. 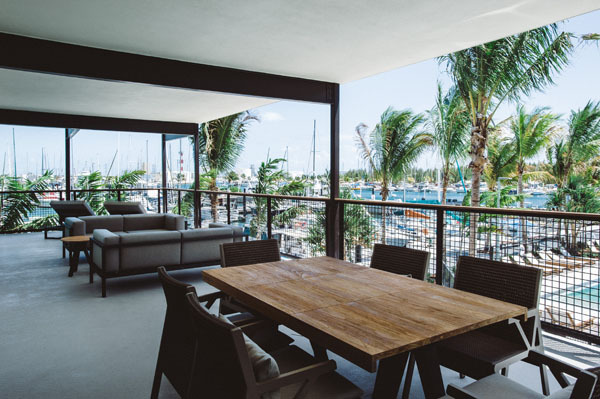 Rooms have generous balconies providing incredible views of the saltwater lagoon or marina as well as the renowned Key West sunrises. Many rooms are dog friendly, and all feature showcase local artwork. Executive Chef Ryan Fredstrom helms the hotel’s two restaurants. Matt’s Stock Island Kitchen & Bar the main eatery, offers an eclectic, edgy, and deliciously eccentric array of small and large plates, all celebrating the joys of American coastal comfort food. 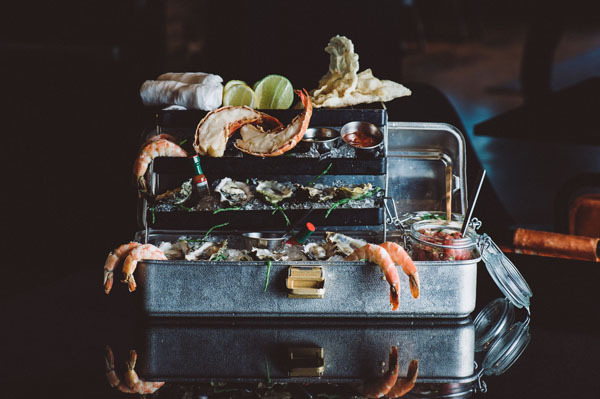 Offering indoor or outdoor seating options and featuring fresh produce, high-quality meats, and local seafood, Matt’s is a foodie’s dream come true. Available activities include reveling in the character of Stock Island by bike or scooter, or exploring the eclectic art, entertainment, and history of Key West. 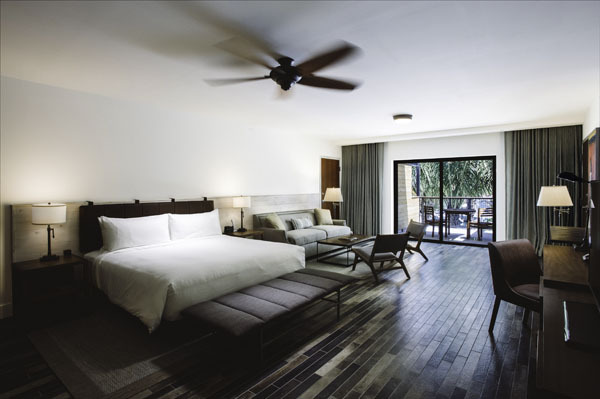 Water fun includes poolside lounging, kayak and paddle adventures, snorkeling and diving in the third largest coral reef in the world, sailing impossibly blue waters and deep-sea fishing. 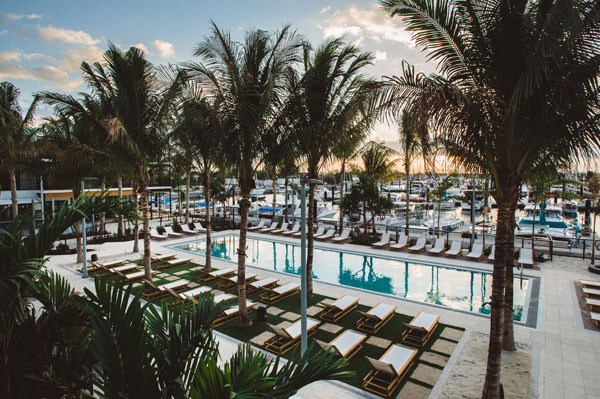 The Perry Hotel is Key West redefined and reimagined, offering the very best – the Commodore would most certainly approve.